Valid @ 10 AM MDT Wednesday. Valid @ 1 PM MDT Wednesday. From mid April through roughly about the first of July the dryline wobbles east and west in and out of West Texas and eastern New Mexico. 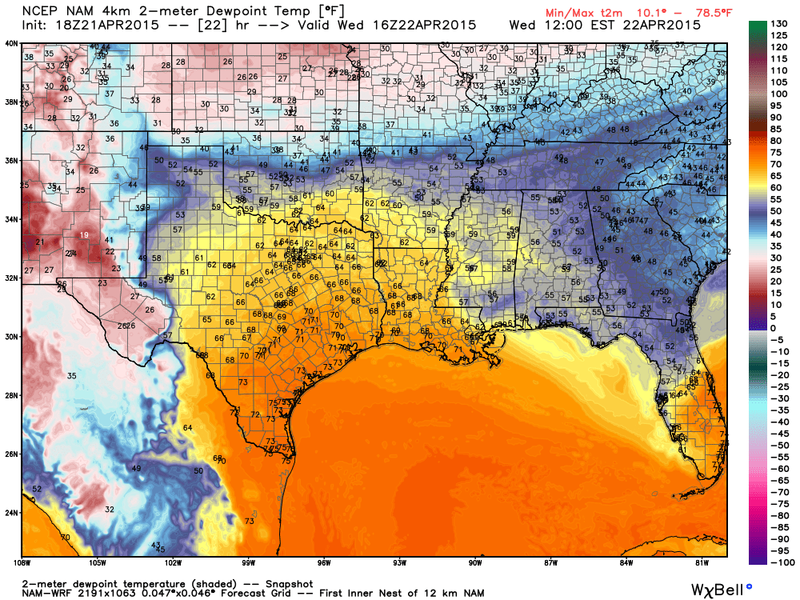 This is clearly shown by the WRF's dew point temperature forecast tomorrow. More often than not the dry line mixes/moves out of eastern New Mexico and sets up across West Texas this time of the year. Early in the spring its more often found in Texas than here in New Mexico. By the time we move into late May and June the dryline backs/sloshes or moves westward overnight and parks itself along the east slopes of the states northern, central, and southern mountain chains. 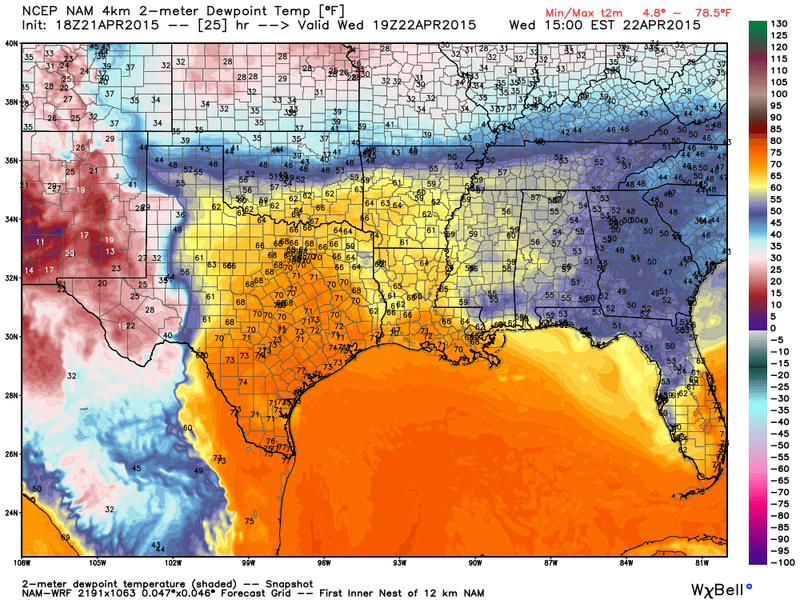 As the day progresses the dryline (easpecially early in the spring) will mix out or move eastward into West Texas. And often will return again overnight to repeat the process the next day. The dryline is a sharp dividing line separating the hot dry desert air to the west from the slightly cooler and far more moist subtropical air to the east. This is measured by the dew point temperature. 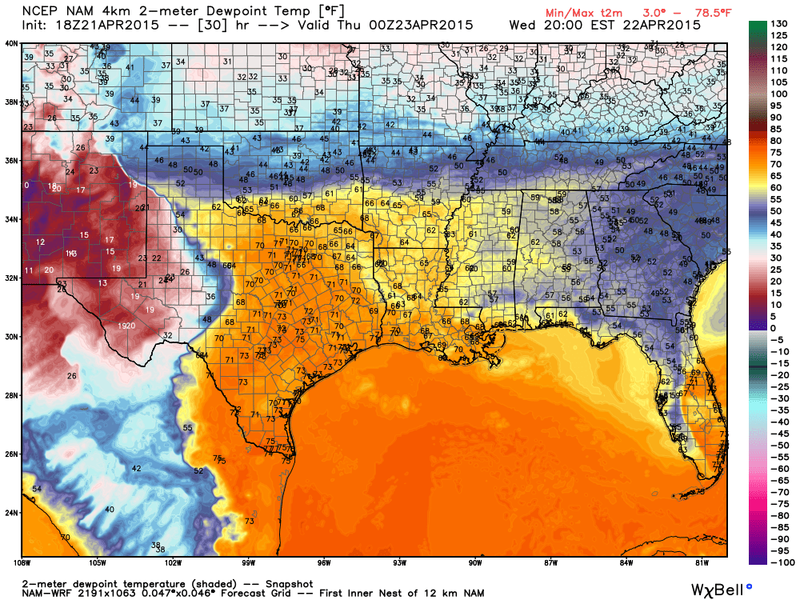 Here at the surface hot dry down slopping southwesterly/westerly winds will be found west of the dryline. East of the dryline southeasterly winds prevail usually bringing a more muggy airmass into the local area from the Gulf of Mexico. Notice that by sunrise tomorrow morning the WRF model is forecasting the dryline to be located in the Pecos Valley of southeastern New Mexico with the dew point temps in the 40's and 50's. 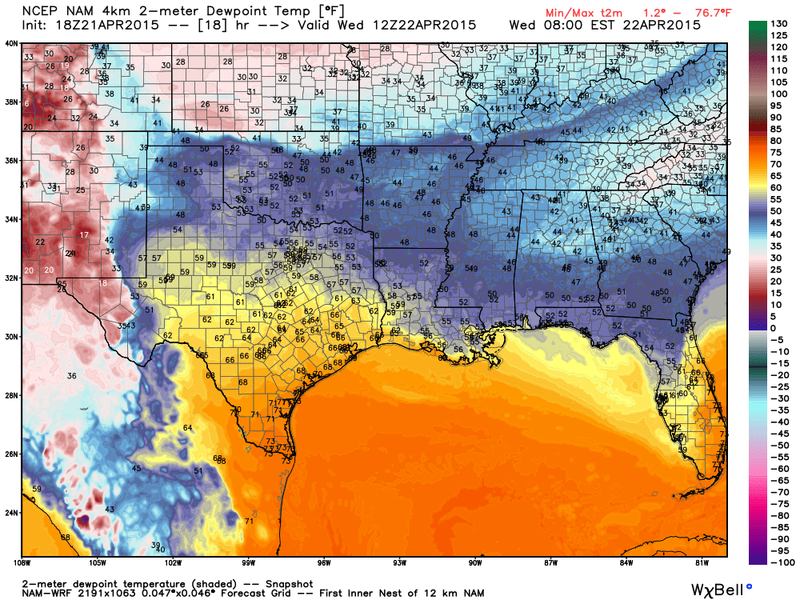 As it quickly mixes eastward tomorrow morning our dew point temps quickly drop into the teens. By 6 PM MDT Artesia is forecast to have a dew point temp of 15°F while Dallas is forecast to have a dew point temp of 71°F. During the spring and late fall severe thunderstorms often form along and east of the dryline. Dew point temperatures in the 50's and higher are usually a good indicator that there is enough moisture in the atmosphere to generate thunderstorms. Many times these thunderstorms will be severe along and east of the dryline. 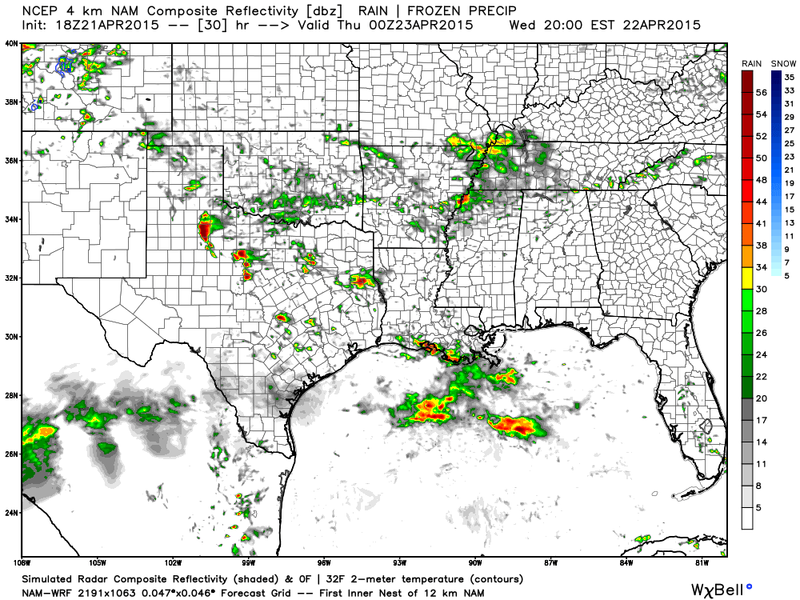 Such will be the case tomorrow afternoon across far eastern West Texas into northern Texas as indicated by the WRF's simulated radar forecast above.